Paddington 2 is of course the sequel to the very popular Paddington movie that was released back in 2014. The movie was again directed by Paul King who really needs to keep hold of the reins for any future Paddington movies as he really deliver’s again with this one following the same successful formula from the first movie. It’s definitely a case of it isn’t broken don’t fix it with the whole movie as nearly all the original cast return for this one. 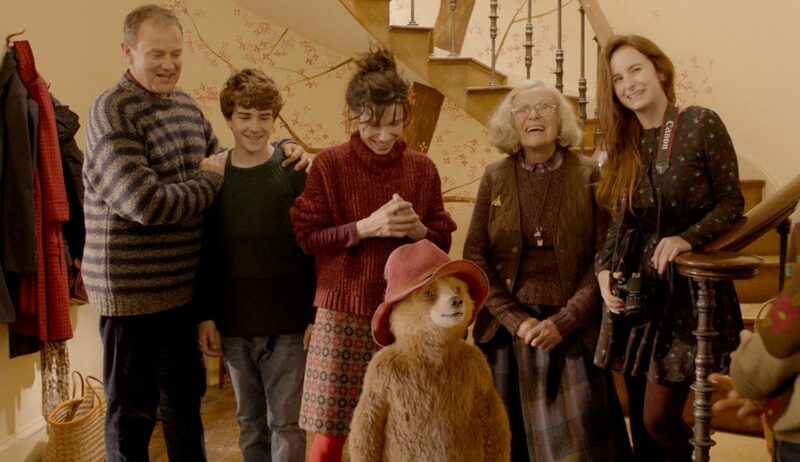 The film stars Ben Whishaw as the voice of Paddington, alongside Hugh Bonneville, Sally Hawkins, Brendan Gleeson, Julie Walters, Jim Broadbent, Peter Capaldi and Hugh Grant. The storyline is not complicated and very easy to follow which should make it an enjoyable watch for both young and old alike as it is quite funny with the humour catered for all. The plot this time sees everybody’s favourite bear trying to earn enough money to buy a present for his Aunt Lucy’s birthday. After he finds a pop-up book of London that he is certain Aunt Lucy will love he decides he will earn money cleaning windows to be able to afford the book which is very expensive. When the book gets stolen from Mr. Gruber’s antique shop Paddington is the number one suspect and it’s up to himself and the rest of the Brown family to find the real thief so Paddington can clear his name. This Movie really is quite enjoyable to watch, it does paint a very far-fetched picture of life in London where a bear interacts seemingly unnoticed among everyday life and everybody lives in fancy city centre mansions despite selling papers for a living by day. All this adds to the charm of this adorable movie that is sure to entertain.